Under the “lowest performing” category, a school may have multiple subgroups of students who aren’t meeting necessary standards. The state says the underperforming category of schools each receive an additional $15,000, and the lowest performing receive $100,000. “And in addition, we do use our evidence-based funding formula so that we provide an additional amount on top of those base amounts, that will incorporate an equity piece, so that the schools that need more funding will be assured to get more funding through this process,” explained IL-EMPOWER Executive Director Allison Sherman. Sherman says the new system allows those schools to work with the state on assessing their respective needs, developing an improvement plan and working with “learning partners” designated by the state to provide needed services. The rankings are based on 10 measures, including graduation rates, proficiency in English, science and math, chronic absenteeism, test scores, the school culture and climate survey, and, for K-8 grades: growth. “No matter where they started, how much did they grow? That’s something we heard from schools and educators across the board, they wanted especially the schools doing the hard work of serving students who are starting behind, they wanted to be evaluated fairly,” explained Matthews. The Report Card’s release coincides with Chicago Public Schools’ release Friday of its own School Quality Ratings Policy, or SQRP. There were some disparities between how each agency rated some schools. For example, Chicago Excel Academy, a high school in the city’s Morgan Park neighborhood and Black Magnet Elementary School in Calumet Heights, are both rated “lowest performing” by the state. But CPS rated them both Level 1 good standing, the city’s second highest rating. CPS says the two ratings systems are very different measures, based on different data sets. For example, the district says it uses the NWEA standardized test, versus the PARCC test used by the state, because schools find it more useful. Tests results return sooner for the NWEA, and schools are able to introduce changes to make improvements during the school year. PARCC has been criticized for a lag time between test taking and test results. The district also says it uses average daily attendance versus chronic absenteeism. CPS also makes the case that the state’s designation doesn’t account for student growth in high school, only in grades K-8. 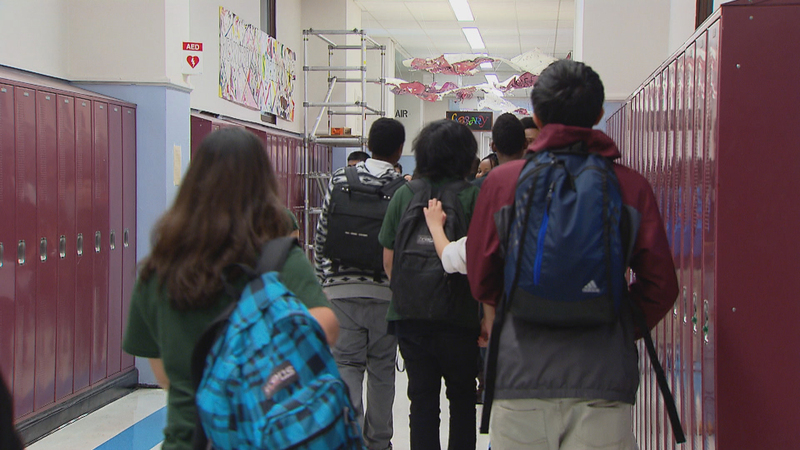 CPS says it still uses the PSAT tests in the 9th and 10th grades to measure student growth. McDade makes the case that the SQRP ratings are a better measure of school quality, because it measures whether or not schools meet the desired standards of achievement. “Essentially, every school has the opportunity to be a great school,” she said. Under the state’s system, “there’ll always be low performers. There’ll always be a bottom 5 percent” no matter how well they’re performing. “It’s a lot for parents to wade through, to have two different designations for a school, or to have multiple indicators to understand,” Matthews said. She adds this is the state’s first year using this exact system, and ISBE will continue to take feedback and revise when necessary over time.